Crysis 3 Scoops Top E3 Awards and Remains in the Running for More! Crytek’s slick upcoming shooter, Crysis 3, is in line for the prestigious title of Best Action Game in the E3 Game Critic Awards after being added to a shortlist of five titles that wowed the gaming press at E3 2012. The nomination is one of 27 that the groundbreaking game has received based on its E3 showing, with five awards already having being clinched. Crytek’s slick upcoming shooter, Crysis 3, is in line for the prestigious title of Best Action Game in the E3 Game Critic Awards after being added to a shortlist of five titles that wowed the gaming press at E3 2012. The nomination is one of 27 that the groundbreaking game has received based on its E3 showing, with five awards already having being clinched. Those wins include: Game Informer Best of Show; Electric Playground Best of E3; PC Gamer Most Valuable Game; Now Gamer Best Graphics and Tweaktown Best Game of E3. 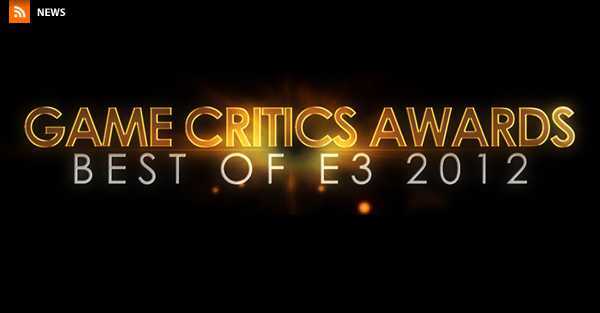 The winner of the E3 Game Critic Award for Best Action Game will be announced on Tuesday, 26th June. The awards are determined by an independent panel of 35 North American media outlets tasked with picking out the games that will “shape the future of interactive entertainment”. Crysis 3 takes the hit franchise to a new level as players become Prophet and embark on a revenge mission through the breathtaking landscapes of a dramatically reimagined New York City. With more weapons, more diverse environments and more freedom than ever to play your way, Crysis 3 is shaping up to be the ultimate sandbox shooting experience when it launches in February 2013.